Jesus is our atoning sacrifice. We can make no atonement for ourselves; but by faith we can accept the atonement that has been made.... It was through infinite sacrifice and inexpressible suffering that our Redeemer placed redemption within our reach. He was in this world unhonored and unknown, that, through His wonderful condescension and humiliation, He might exalt man to receive eternal honors and immortal joys in the heavenly courts. During His thirty years of life on earth His heart was wrung with inconceivable anguish. The path from the manger to Calvary was shadowed by grief and sorrow. He was a man of sorrows, and acquainted with grief, enduring such heartache as no human language can portray. He could have said in truth, “Behold, and see if there be any sorrow like unto my sorrow” (Lamentations 1:12). Hating sin with a perfect hatred, He yet gathered to His soul the sins of the whole world. Guiltless, He bore the punishment of the guilty. Innocent, yet offering Himself as a substitute for the transgressor. The guilt of every sin pressed its weight upon the divine soul of the world's Redeemer. The evil thoughts, the evil words, the evil deeds of every son and daughter of Adam, called for retribution upon Himself; for He had become man's substitute. 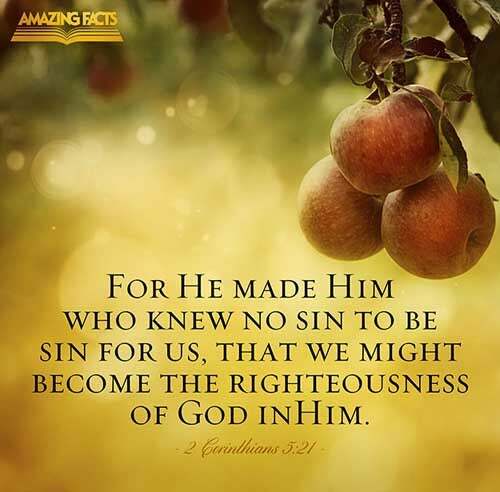 Though the guilt of sin was not His, His spirit was torn and bruised by the transgressions of men, and He who knew no sin became sin for us, that we might be made the righteousness of God in Him.